Home » Posts Tagged "becoming a nurse"
Since the dawn of the Internet and our unsurpassed access to knowledge and community, the world and how we live in it has been revolutionized. With this multitude of new and changing information at our fingertips (now literally so, thanks to smartphones), many fields of study have had to evolve. Nursing has changed radically with this wave of technology and easy Internet access, from nursing education to licensing to employment, and even further with diagnoses and treatments. And now thanks to the electronic records of patients, people can get even better care. Becoming a nurse can be as simple as signing up for an online degree program thanks to the Internet. For those interested in becoming nurses, online education can be completed anytime and anywhere, making it easier for working peoples to change their careers. Degrees in nursing are offered by a wide variety of online schools and universities or colleges with online programs. 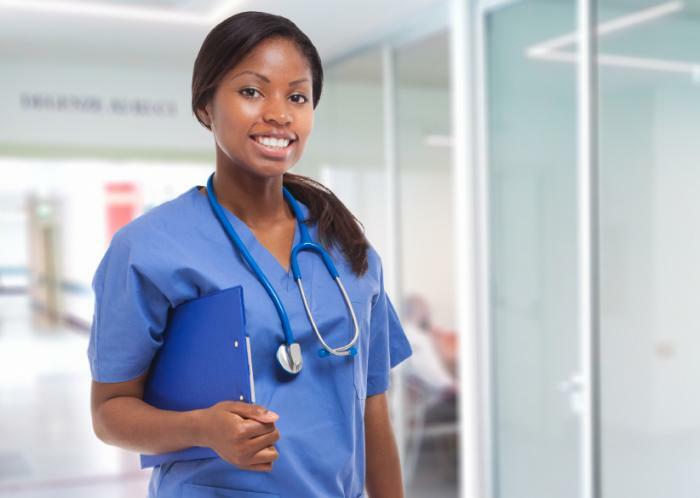 The most popular path, especially online, is and Associate’s degree in nursing, which allows for a person to become a Registered Nurse (RN) or a Licensed Practical Nurse (LPN). For those who are already nurses but wish to continue their education (or who are required to do so by their employer or their state) can easily do so online. A certain number of hours may be required every year or so, and nurses can easily fit in online classes (which can be accessed anytime and anywhere) into their work schedule, or their busy home schedules. Online education offers flexibility that traditional educational settings do not. Online education eliminates the need for travel costs and child care, and also allows students to work around their own schedules. Nurses and nursing students can also share within their nursing communities, different practical experiences to pool together information from different regions around the world, helping everyone to learn more about different conditions and treatments. Also found online are many renowned health journals, and whether free or by subscription, nurses can access them from anywhere to learn about new trends, treatments, and medical research being done in various fields. Many of these journals also have archives online, making it easier for nurses to find information for particular patients. Getting licensed as a nurse has also become much easier, and many states no longer issue paper licenses. Employers simply verify online that the applicant is properly licensed. Soon, the entire process of licensing may be online. As of right now, the national nursing licensing exam (NCLEX) is administered and scored on the computer. Finding a job (not just nursing, too) has moved predominately online. Hospitals, Emergency Rooms, Rehab facilities, clinics, home health care companies and other medical offices post their open positions online and nurses can submit their applications online. If you’re looking to move or are open to moving around the country, or even the world, the Internet allows you to find a job, research that facility and the city or country that it’s in for pay rates, housing, entertainment, and more, apply online, and hopefully if you are called in for an interview, book your travel online, too! Before ever stepping foot in a doctor’s office, most patients have Googled their symptoms and have come in prepared to ask questions. Websites like WebMD have become extremely popular for self diagnosis. We have moved away from the fear of doctors and nurses and toward a more comfortable atmosphere where patients are not afraid to ask questions and request explanations of diagnoses. Most consultation rooms, whether they be in an emergency room or urgent care facility are now equipped with a computer, while not online, contains the patient’s electronic medical records which can help nurses get a full and better understanding of the patient’s and the patient’s family’s medical history, but can also allow the nurse to access the Internet and online search engines and some government websites. If the nurse is presented with prescription medications he or she is unfamiliar with or if they are unfamiliar with a particular diagnosis, all it takes it a quick trip to the computer to find out what the medication or diagnosis is, what it is used for or where it comes form, and what side effects or symptoms are exhibited. Nurses are typically the go-between for patients and doctors—they are trained to explain a diagnosis or treatment, to educate the patient on what they are experiencing, and to support a patient and their family through the difficulties of certain conditions. With such easy access to medical information online, nurses can maintain patient safety and be more confident in their medical decisions, as they can back it up with professional and researched information found online. It is no uncommon now for nurses at the end of a consultation to give a patient printed information on their diagnosis, symptoms, or prescribed medications. The Internet has even allowed for completely virtual consultation options for patients. Nurses maintain these websites where patients can ask questions or send in pictures of their wounds, rashes, or physical abnormalities and get virtual treatment or a diagnosis online, without ever having to come in or pick up the phone. The nurse can log in and do everything from answering the questions, refilling prescriptions, and sometimes recommending the person come in for an in-person consultation. Overall, the Internet has allowed for the quick, effective, and accurate dissemination of information, research, education, and employment opportunities for nurses or those wishing to become a nurse.